Q. ntop is a network probe that shows network usage in a way similar to what top does for processes. 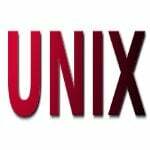 How do I install latest version of ntop on RHEL 5.x systems? 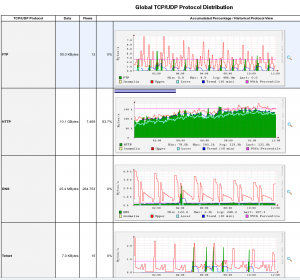 A. ntop is a network and traffic analyzer that provides a wealth of information on various networking hosts and protocols. ntop is primarily accessed via a built-in web interface. ntop startup - waiting for user response! -i “eth0,eth1” : Specifies the network interface or interfaces to be used by ntop for network monitoring. Here you are monitoring eth0 and eth1. -d : Run ntop as a daemon. -L : Send all log messages to the system log (/var/log/messages) instead of screen. -P /usr/local/var/ntop : Specify where ntop stores database files. You may need to backup database as part of your disaster recovery program. –skip-version-check : By default, ntop accesses a remote file to periodically check if the most current version is running. This option disables that check. –use-syslog=daemon : Use syslog daemon. How do I view ntop stats? How do I view ntop stats without opening port 3000? How do I start ntop on boot? How do I stop ntop? Thanks for the wonderful post Vivek. I have tried this out and it works flawlessly. Maybe you need to mention that the installation of gdbm-devel as by default, I could not find that on the server. The other requirements are libtool automake autoconf. No problem. Yes, deps may vary from one installation to other. Under the Centos5 you can install ntop natively by using rpmforge and epel repos. Thanks for pointing out rpmforge repos. I generally don’t mix 3rd party repos with RHEL (as I might break their TOS). But under CentOS I don’t mind using rpmforge. what would be the possible solution to this…. Hi, How to install ntop v3.x + mySQL ? Thanks for this post, I was running into a lot of compilation errors, and no other website out there had as clear instructions as you did. Thanks again ! in the configuration, the rrd plugin is ENABLED (shows ‘yes’). You have to change ownership of the ntop directory to ntop user by running something like this for a compiled version of ntop. For an rpm version of ntop, it would be this command. how to solve it, Thank you. I m not able to view graphs. Error: NOTE: this page is not operational when the RRD plugin is disabled, misconfigured or missing. Please check the ntop log file. I noticed rrd didn’t work for me if I started `ntop -d` as a daemon. If I started it without the the -d flag as `ntop &` the rrd graphs work fine. I’m using v.3.3.11-dev which warns of possible funny business. Overall, the tool built easily and is completely awesome for monitoring network traffic! Thanks m++, that worked for me too.. I started Ntop without the daemon option.. But one thing I noticed, wen I ran ntop, it would load, but I cant have access to the web interface.. The provided link is not present. Please check. I have tried installing ntop and installation is completed fine. Mine is a vps. The /etc/sysconfig/iptables is an empty file. http is up and running fine. Do you have any idea why it is due to? Is this an error or not? But i have rrd tool installed. Please help me to solve…. Getting the error below, I have added /usr/local/lib in ldconfig.conf and updated the cache but still showing the error. Fixed it, seems selinux was the issue. wht can be the major reason? Hi. Thanks for putting this tutorial together. After 2 days of tryhing to install this app, it’s working. I do have a question about an error that was pointed out above, but not answered. See below. Do this error message mean that it was started, but not running as a daemon at start up? I do get data and able to see graphs. I got it to work, but how do I get it to run as a daemon : ie on centos to be able to use service ntop start/stop/status ? this manual did not worked for me at Centos 5.x 64, ntop needed some “svn/subversion”, but i was not successfull installing it.